Umana Reyer Venice grabbed its first-ever Eurocup Last 32 win by downing Stelmet Zielona Gora 83-92 in Group L on the road on Wednesday. Both teams have a 1-1 record in Group L, right behind undefeated leader Zenit St. Petersburg. 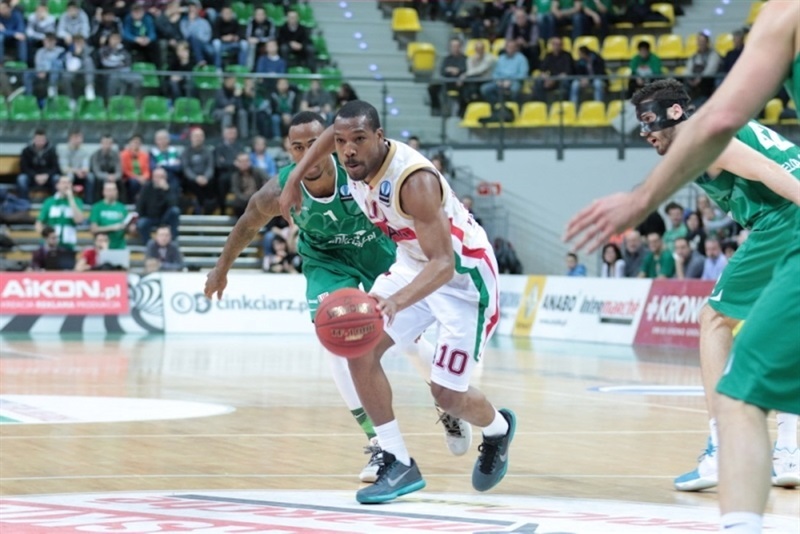 Mike Green led the winners with 24 points, 7 rebounds and 11 assists. Josh Owens added 15 points while Benjamin Ortner had 12 for Venice. 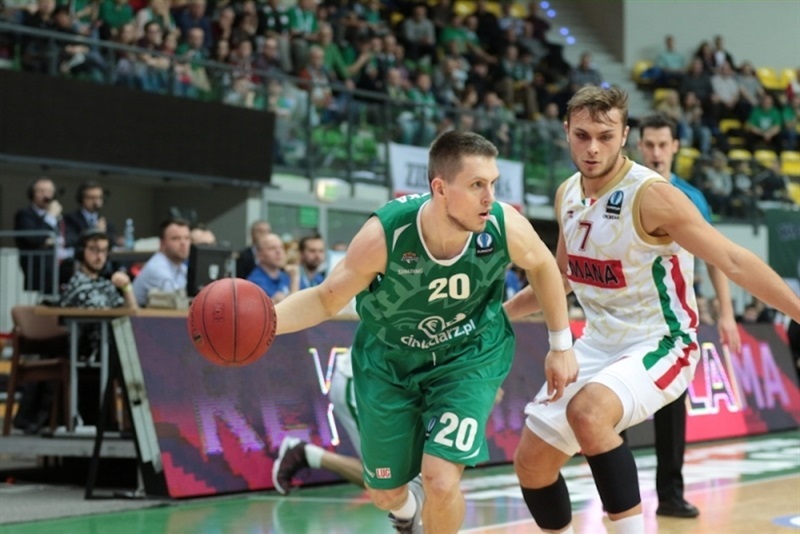 Vlad Moldoveanu led Zielona Gora with 15 points. Mateusz Ponitka added 13, 10 rebounds and 8 assists, Lukasz Koszarek and Szymon Szewczyk each had 12 points while Dejan Borovnjak got 10 for the hosts. Moldoveanu and Ponitka shined early but Green had 11 first-quarter points and got help from Owens to give Venice a 21-22 edge after 10 minutes. Koszarek rescued Zielona Gora while Karol Gruszecki and Przemyslaw Zamojski each struck twice from downtown to make the hosts get a 46-39 margin at halftime. Green, Tomas Ress, Phil Goss and Mike Bramos all fired in three-pointers late in the third quarter, allowing the guests to get a 57-62 lead. 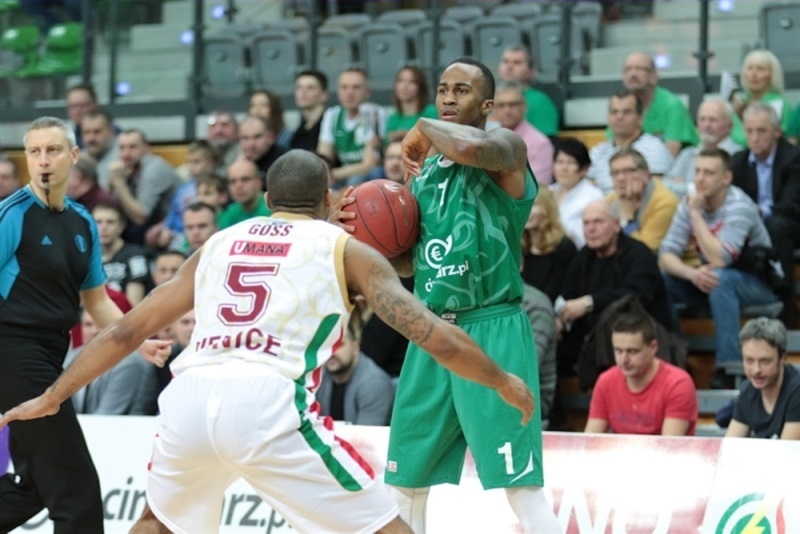 Green kept full control of the game and his fast break layup gave Venice a nine-point margin, 61-70, after 30 minutes. 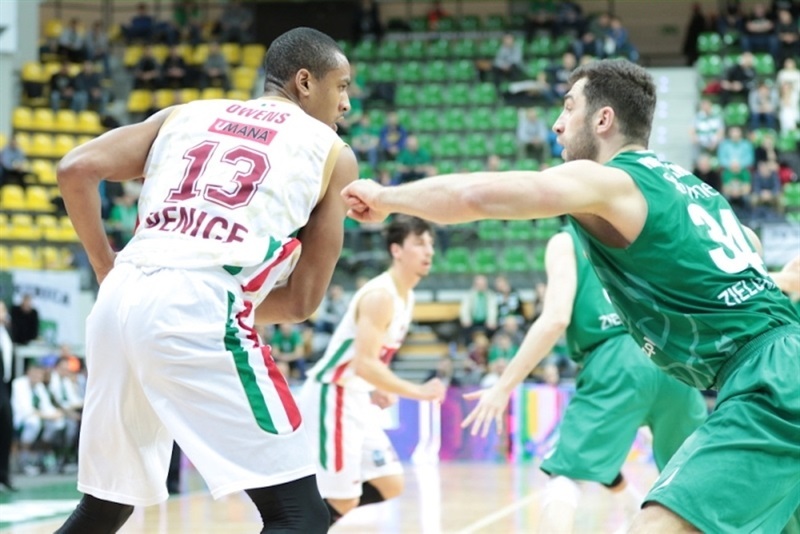 Borovnjak brought Zielona Gora within 72-77 but Ortner and Jarrius Jackson allowed Venice to seal the outcome down the stretch. 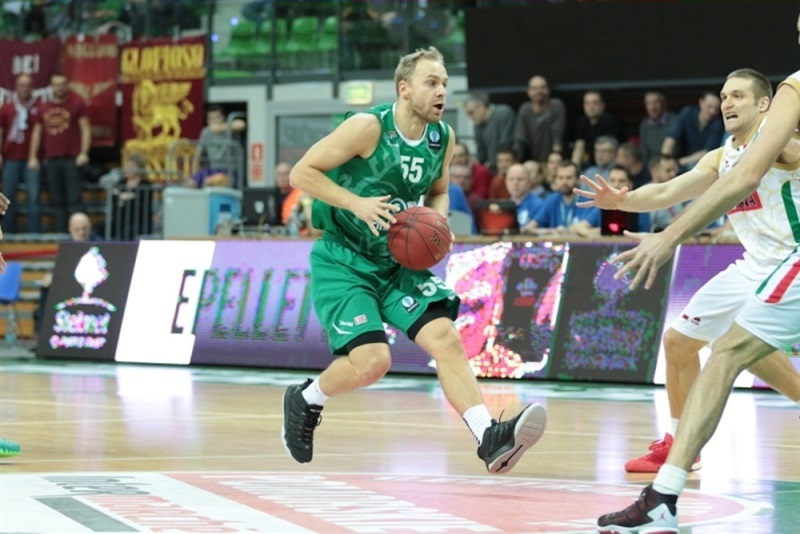 Borovnjak got Zielona Gora going with an early basket but Ortner and Tomas Ress soon gave Venice a 2-5 lead. Ponitka hit a three-pointer, igniting an 8-0 run highlighted by Moldeovenu's layup-plus-foul. Jackson answered with his own three-point play and Green tied it at 10-10. Moldoveanu and Ponitka stepped up for Zielona Gora but an unstoppable Green kept the guests as close as 16-15. Szewczyk scored down low but Green singlehandedly put Venice back ahead, 18-20. Szewczyk kept pacing Zielona Gora with a three-point play and a close basket by Owens restored a 21-22 Venice edge after 10 minutes. Moldoveanu scored again early in the second quarter and Dee Bost added a put-back basket by Owens kept the guests ahead, 25-27. Jeff Viggiano shined with a dunk but Zielona Gora found a new go-to guy in Koszarek, who shined with an off-balance three-point play and hit a triple from the top of the key to give his team a 33-29 margin. Ortner and Mike Bramos tried to change things for Venice but Gruszecki and Zamojski each struck twice from beyond the arc to boost Zielona Gora's lead to 46-39 at halftime. Owens scored around the basket and matched Moldoveanu's put-back layup with a two-handed slam for a 52-46 Venice deficit. Green and Moldoveanu exchanged free throws and back-to-back three-pointers by Ress and Phil Goss made Zielona Gora call timeout at 55-54. Koszarek rescued the hosts with a close basket but Green improved that with a bomb from downtown and Goss added free throws to gave Venice a 57-59 edge. Bramos joined Venice's three-point shootout, Koszarek beat the shot clock with a six-meter jumper and free throws by Ortner gave the guests a 59-64 edge. Bramos took over with an alleyoop layup and improved Borovnjak's mid-range jumper with another three-pointer. A layup by an ever-present Green fixed the score at 61-70 after 30 minutes. Both teams struggled to score early in the fourth quarter until Borovnjak stepped up with a layup. Stefano Tonut hit a one-handed floater, Borovnjak scored again and a triple by Ponitka got the hosts as close as 68-72. Tonut kept pacing Venice with consecutive fast break layups for a 68-76 score. 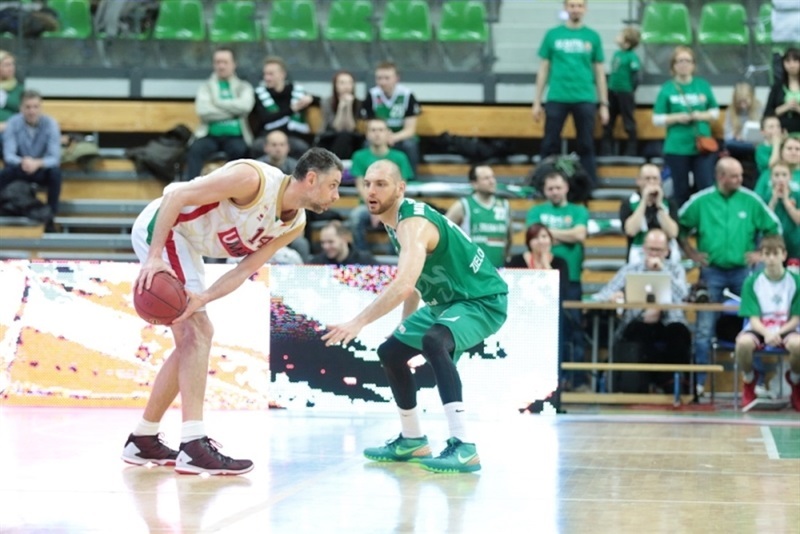 Borovnjak and Korszarek brought Zielona Gora a bit closer, 72-77, with 3 minutes to go. Ortner rescued Venice with a layup which Jackson followed with an eight-meter bomb which sealed the outcome, 72-82, as the hosts never recovered.